1. The Bitmo Dapper Devil voicing mod. In fitting this mod, although the instructions suggested that you should cut the legs of the components being replaced (capacitors mainly) and then solder the replacement higher quality components to the stubs of the legs this didn’t seem to me to be the best thing to do with them. Instead I totally removed the components and soldered the replacements directly to the PCB, just as is done in the factory. Although it was a slightly longer process, the payoff for me is that they’re installed properly with no chance of ever breaking down. Here are some pictures taken while fitting this mod. I fancied using an EZ81 valve rectifier in this amp. Just to let my ears hear the differences between valve rectification and solid-state rectification. I’m pleased to say I *can* hear a difference. Usually only when the amp is wound right up though. I have made it switchable with the stock solid state diodes, as a “failsafe” should the valve rectifier fail. 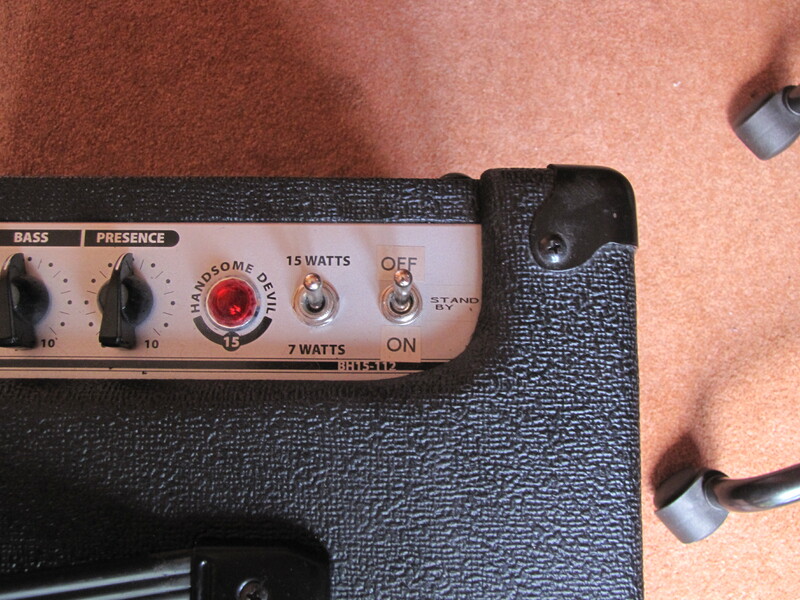 Centre position is “OFF” and can be used as a “standby” position, enabling both the output and preamp valves to warm up fully before selecting either rectifier to power the HT circuit. 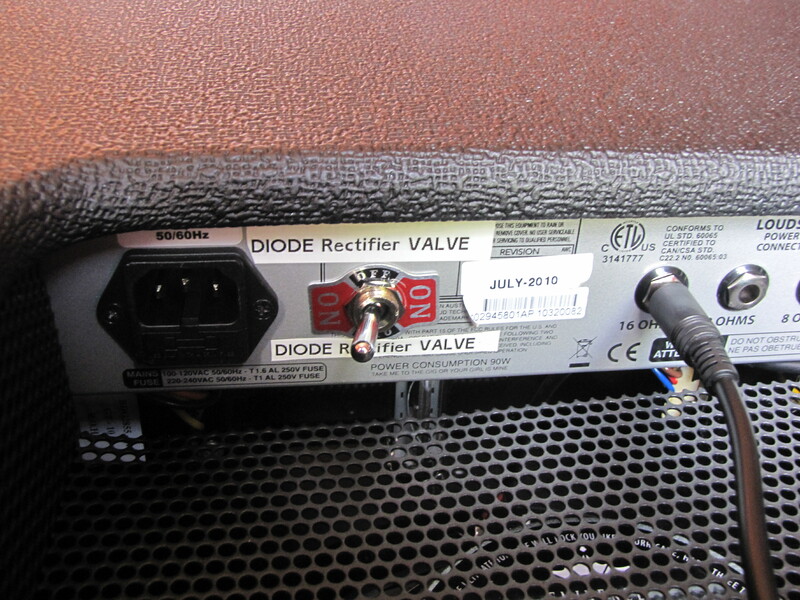 The picture shows the switch and through the grill the EZ81 rectifier valve. This is pretty self explanatory. Instead of having the stock ON/OFF switch I replaced it with a 3 position switch wired to give OFF-STANDBY-ON. This intended to protect the valves by letting them warm up before applying full power to the amp. Simples, but effective. thanks for all the info! 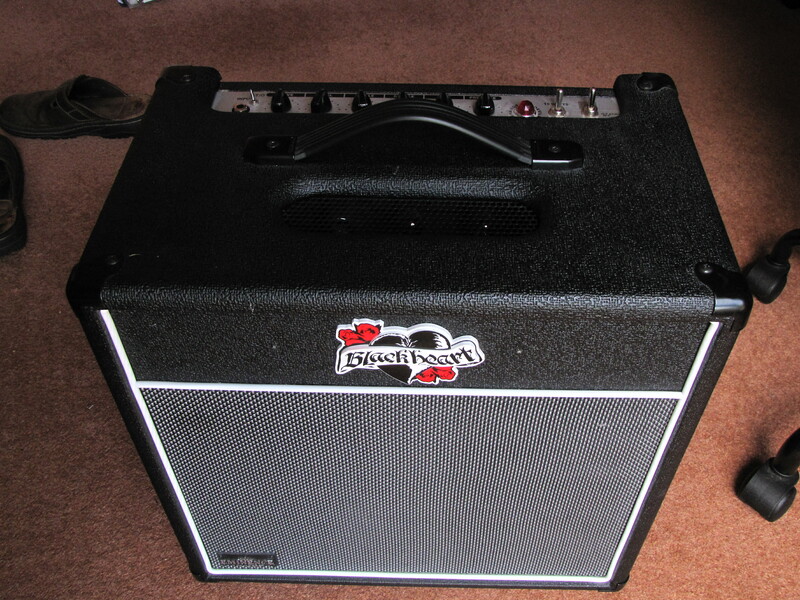 I have got the same amp. Can you please explain me how you have wired up the off on stand by switch? Thanks! 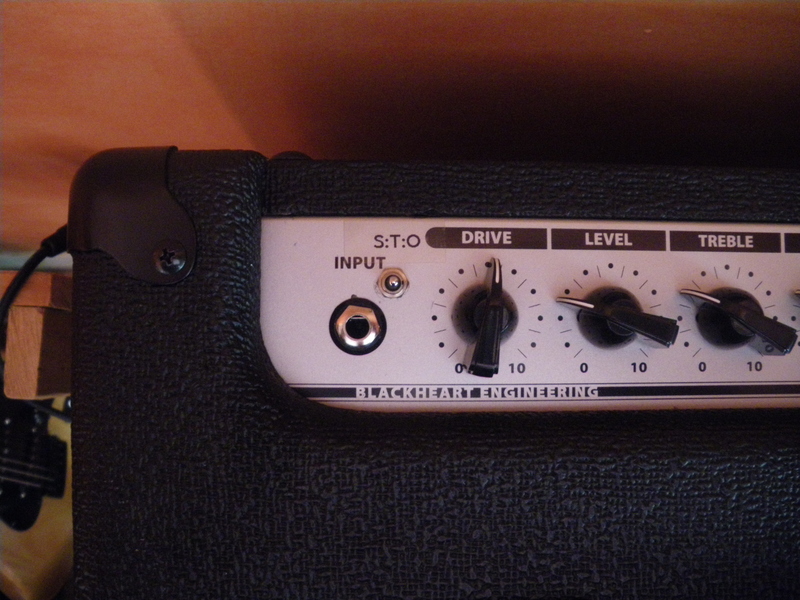 its my main amp… i’ve modded it by ear, its the greatest amp i’ve tested on the local shop… side by side with vox and soldano, believe it or not!